CCENT is the entry-level certification for those looking to venture into the networking world. This guide will help you stay up-to date with your networking skills. This book starts with the basics and will take you through everything essential to pass the certification exam. It extensively covers IPv4 and IPv6 addressing, IP data networks, switching and routing, network security, and much more—all in some detail. This guide will provide real-world examples with a bunch of hands-on labs to give you immense expertise in important networking tasks, with a practical approach. Each chapter consists of practice questions to help you take up a challenge from what you have procured. This book ends with mock tests with several examples to help you confidently pass the certification. 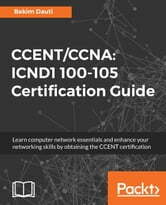 This Certification Guide consists of everything you need to know in order to pass the ICND 1 100-105 Exam, thus obtaining a CCENT certification. However, practicing with real switches and routers or a switch or router simulator will help you succeed. 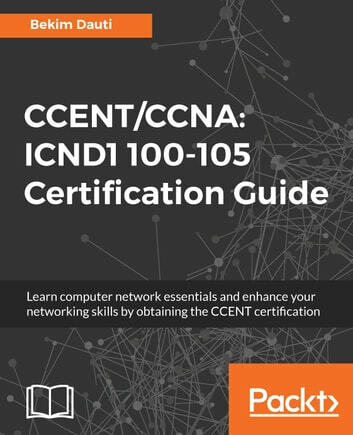 If you are a Network Administrator, Network Technician, Networking professional, or would simply like to prepare for your CCENT certification, then this book is for you. Some basic understanding of networks and how they work would be helpful. Sufficient information will be provided to those new to this field.